We know drivers in the Middletown and Mechanicstown areas need their pickup trucks to be more than just work vehicles. 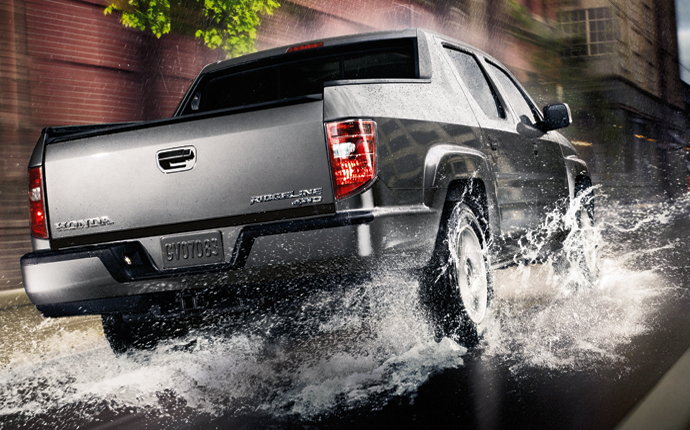 This is why we’re proud to recommend the 2014 Honda Ridgeline, available now Middletown Honda. The Ridgeline has long straddled the line between pickup truck and SUV, making it an excellent choice for drivers needing a work-ready family vehicle. Of course, there is no shortage of pickup trucks available these days. Let’s see how the 2014 Toyota Tacoma stacks up to Honda’s truck. Now, we know if you’re looking at the Ridgeline, you’re probably expecting it to do more than offer up power, but we don’t think it’s fair to overlook the fact that Honda’s pickup offers up 250 hp to the Toyota Tacoma’s 236 hp. Honda also gives drivers a rear locking differential as standard, while you’ll be paying to upgrade it on the Tacoma. You’ll be able to carry a payload as large as 1537 pounds in the Honda, while the Toyota is only rated for 1280 pounds. And for control, Honda offers disc brakes while Toyota is still only providing drum braking, and you’ll find a rear stabilizer bar as standard on the Ridgeline—a rear stabilizer is unavailable on the Tacoma. That’s in addition to the suite of modern amenities that Honda has included as standard on the Ridgeline, including Bluetooth phone connectivity. As if that were not enough, you also get more room in the Honda: front and rear head, hip, and shoulder room are all increased by driving the Ridgeline over the Tacoma. We think we have made a pretty clear case for the superiority of the 2014 Honda Ridgeline, but the only way you can know for sure is if you visit Middletown Honda today and take one for a test drive. Experience its spacious cabin, powerful engine, and roomy truck bed for yourself. Even if the Ridgeline isn’t up your alley, we’re confident that there’s a Honda here that is, and we can’t wait to put you behind the wheel. You’ll find us at 520 Route 211 East, a quick drive from Mechanicstown in Middletown.